College management is good and i would say its better than one can expect. College management is working well. I would like to say this is one of the very few government hospitals i have seen which are up to the mark when it comes to cleanliness. A few problems here and there are present everywhere. According to me management needs to keep there work up. Place where the bird is taught to fly with wings of knowledge. Except college is ranked second, all standards you are given here are first class, If at all you are ever eligible for the college, dont miss the opportunity to be part of this noble institute, College administrators are kind and helpful.Rise and be the NAIRITE. If u want to study hard you can get that atmosphere but if u wanna enjoy hostel life then it might be the best place. â—Unparalleled history: Formerly known as National Medical College, the college has a very close association with the country’s history as it was the first hospital to be completely developed and managed by Indians while they were being ruled by the British. T.N. Medical College has witnessed visits from some of the eminent persons of all time like Sarojini Naidu, Mahatma Gandhi, and Alexander Fleming. 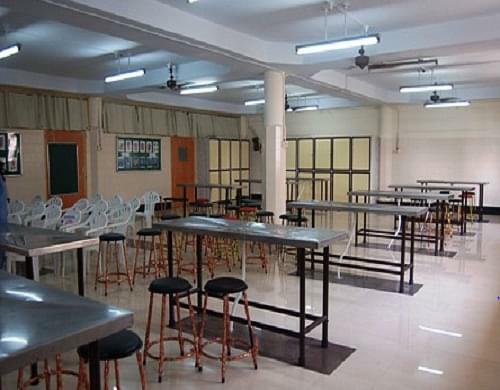 â—Separate hostels with requisite facilities: T. L. Medical College is equipped with four boys hostel which houses 730 students. 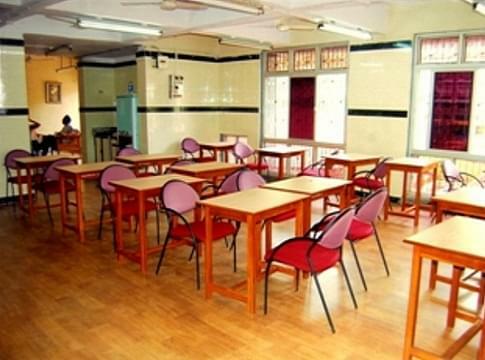 The girls hostel has 65 rooms with a capacity of around 190 students. It also has a special Nursing quarters building for students of the Nursing school. Each of its hostels have facilities for different recreational activities and celebrate popular festivals throughout the year. Hi Soni, You may please check this link for getting B PT Course Admission Detail of TNMC Mumbai. Dose This College have B.S nursing Or not? If yes plz reply..
Hi Nouman, Please contact to this number:- 022-23027000 for getting the Course information. Does it have B.Sc nursing? Hi Mohammed, No, This College does not provide B.Sc Course. Hi Janisar, To get admission in Physiotherapy, candidates must have 10+2 with Physics, Chemistry, Biology and English as compulsory subjects with minimum 50% marks and they must have qualified NEET UG and State Level Counselling. when is the last date of application for baslp ? I took Maharashtra common entrance test (mh-cet) after my 12th exams. I scored 184/200 and opted for Topiwala National Medical College. First reason for opting this choice was the basic hostel needs for residing in Mumbai are the best in this college. Hostel premises are a great place to live in. And the second reason was that the college is known to be having a excellent academics record and teaching faculty. College is in Maharashtra so you have to appear for MHT-CET. I scored 173 marks out of 200 as this is one of the prime Institutions Industry that you have to score at least 180-185 out of 200 to get admission for an open category student. Also that 2 depends on your state merit list rank. "Place where the bird is taught to fly with wings of knowledge." I went through my HSC BOARD EXAM IN yr 2011 and scored 93.25% marks.I was a student of General science and hence opted for both faculties i.e math and biology.MHT-CET exam was held in moth of may and i scored 186/200 makrs in PCB group with state merit of 68 .As i was in first 100 students at state level, it was possible for me to get any college of my choice.Besides that i belong to open category and so i missed my first choice as KEM hospital and got the 2nd choice i.eNair hospital Mumbai.Im studying here currently in final year.